Is there evidence for the existence of God? What are valid arguments for His existence that are obvious? David wrote most of the Psalms and in many of these he wrote that it was obvious that the universe was created and thus, demanded a Creator. David wrote in Psalm 19:1 that “The heavens declare the glory of God, and the sky above proclaims his handiwork.” Paul reiterates this in Romans 1:20 that “For since the creation of the world God’s invisible qualities–his eternal power and divine nature–have been clearly seen, being understood from what has been made, so that people are without excuse.” So we see that a creation demands a Creator and that we are without excuse if we deny this. The universe did not create itself any more than humans created themselves. 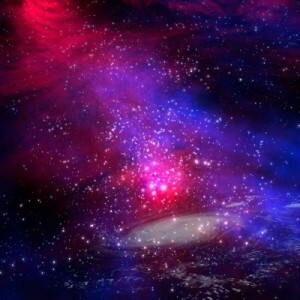 The vast majority of scientists understands that the universe is expanding and had a beginning. A beginning demands a Beginner. Again the Psalmist declares “You have set your glory in the heavens” (Psalm 8:1). I would challenge any agnostic or atheist to show me something that exists that was not created. One of the most famous physicist once said that the universe exploded into being many billions of years ago but what was it before it exploded…non-being? It could not have not existed yet later exist. To say that the universe exploded into being is irrational. What was it before it exploded into being…non-being? It could not have not existed and then existed unless there was a cause for it to come into existence. To say it exploded into being would mean that it once did not exist or that it was not in a state of being before being. The word “conscience” means “with knowledge.” Mankind has an internal conscience and inherently knows that certain things are wrong. We return to Romans again where Paul says that “For it is not the hearers of the law who are righteous before God, but the doers of the law who will be justified. For when Gentiles, who do not have the law, by nature do what the law requires, they are a law to themselves, even though they do not have the law. They show that the work of the law is written on their hearts, while their conscience also bears witness, and their conflicting thoughts accuse or even excuse them on that day when, according to my gospel, God judges the secrets of men by Christ Jesus” (Romans 2:13-16). Paul is saying here that even the Gentiles, those that do not have the Holy Spirit, know right from wrong. One of the universals of human nature is that there are moral laws that humans are born with. Most people understand that killing is wrong even if they were not taught this. There is a law “written on their hearts” that was not learned but which God established in the human heart. There are morals, thereby we know by necessity that there is a Moral Lawgiver. The design of both the universe and the human body … demands an Intelligent Designer. A few years ago, scientists mapped out a single strand of human DNA. What was the cost? Nearly 30 billion dollars! Why did it cost so much? It was because of the enormous complexity of it. One simple strand of human DNA/RNA is more complex than all of the nation’s transportation systems, including highway, airports, and railways combined. That the complexity of the human body would just happen by chance is impossible. It would be like someone throwing several Scrabble games letters onto a gymnasium floor and coming up with the Declaration of Independence. The design of both the universe and the human body, not to mention the rest of living organisms, demands an Intelligent Designer. Information infers intelligence. This design was obviously intentional and with purpose, therefore the argument of design cannot be argued against. I once heard an agnostic, who is a person that may believe in a god but not a personal god or does not know if a god exists, said that there are no absolute truths. For the person that says that there are no objective truths, I would ask them “Didn’t you just make an absolute statement that there is no absolute or objective truths?” They just contradicted themselves by saying that there are no absolutes and saying it with absoluteness! To most of the world, truth is relative and it is subjective, but there are most certainly objective truths. Two plus two will always be four, regardless of a person’s feeling about it. Imagine a 1st grader saying to the teacher, “Well teacher, to you 2 + 2 is 4, but to me, it can be any number I want it to be.” That is as absurd as saying that there is no absolute truth and saying it as an absolute statement. This is totally irrational and illogical. The Ontological Argument has been around for a very long time. It is believed to have been first proposed by Anselm of Canterbury in 1078. In his Proslogion, Anselm stated that God is defined by “than that which nothing greater can be conceived,” and then argued that this being could not exist in the mind if it did not exist in reality. Just having the idea of their being some god makes us realize that there is something or someone greater than ourselves. Something that created must always be greater than that which is created. The writer of Hebrews said that “Jesus has been counted worthy of more glory than Moses—as much more glory as the builder of a house has more honor than the house itself. For every house is built by someone, but God is the builder of everything” (Hebrews 3:3-4). To not believe in the Ontological Argument would be like saying that the birdhouse is greater than the person who built the birdhouse. If something now exists, then there must have existed something prior to it. If anything now exists, then something had to exist prior to everything that exists now. If nothing exists, then nothing would exist now, however if we imagine something or anything does not exist, we are contradicting ourselves because in order for us to be in a state of being and to be “imagining” we must exist. For a creature to say that nothing exists is ridiculous because since the creature imagines nothing exists and that all things are just a reality, there would have to be a mind to imagine this in the first place, therefore the mind that imagines must exist. I took philosophy in college. My professor once stated that the world may just be an illusion and perhaps nothing exists at all. My argument is that since he made that statement, he must exist to make it and my mind heard this and so my mind must also exist…therefore he and I and all things in the universe do exist…otherwise how could he make such a statement if he didn’t exist? I secretly then thought if he is right, then why should I worry about our upcoming final exams!? How clear that is. Mothers almost universally know that they should care for their babies. There are exceptions but these are called deviant behaviors and they are the rare exceptions. The overwhelming majority of mothers care for their children. They know it is their duty to care for their children and so they know they ought to and thus, they do. You could never prove that the many thousands of answered prayers are just a coincidence to those who have received them. They can attribute them to no other possible cause. The Bible is chocked-full of miracles that have hundreds of eye witnesses that testified of seeing them. The impossibility of disproving them and explaining them away to the ones who experienced them or who witnessed them shows the validity of there being Someone or Something outside of themselves to ever having explained them and no natural cause or reason having been found. At first glance, this may seem unlikely to be a solid, concrete evidence for the existence of God but how can you dispute the thousands of archeological discoveries that have validated biblical history and stories, the hundreds of prophecies fulfilled that were impossible to know at the time of their writing, and the fact that 40 authors wrote 66 books of the Bible with the vast majority not knowing each other, yet all are infinitely in agreement about the overall theme of the Bible. There are today about 50,000 digs at nearly 30,000 different locations that have supported the Bible’s historical record and validated it to be true. In archeology, anthropology, paleontology, and in history we know that the Bible’s authenticity stands firm despite its critiques. The fact that the Bible still exists today is attributable to God saying that His Word would abide forever (Psalm 61:2-7, Psalm 199:89, etc.). The Bible has been burned, banned, confiscated, restricted, outlawed, forbidden…yet it remains today and so will also abide into eternity. Israel still exists and God has sworn by His own name that the heavens and the earth will vanish before Israel will cease to exist and the church that Jesus Christ built is still here, after 2,000 years. He promised that “I will build my church, and the gates of hell shall not prevail against it” (Matthew 16:18). The gates of hell is better translated that the gates of the grave or death can’t stop it. It is still here today and will also exist forever. Since we know that God’s Word is true and that there is indisputable evidence that God does exist, why not bend the knee today if you have not already done so. I beseech you today to repent of your sins, confess them to God, to see your need for a Savior, and to put your trust in the only name by which you can be saved…Jesus Christ (Acts 4:12). The evidence that He will forgive your sins (1 John 1:9) and that you can have His righteousness attributed to you (2 Corinthians 5:21) makes it abundantly clear that God exists and that He wants all to come to saving faith (2 Peter 3:9). I ask you to put your trust in the Savior while it is still possible (Hebrews 3:15) because today is the day of salvation (2 Corinthians 6:2). Tomorrow may be too late. Did the Universe Come in Existence by Chance? Hello, Pastor Jack! I’ve got a burning question for you. In some articles, I’ve heard about a mysterious figure called, ‘the Enemy’. Is he an alias of Satan or a different being? Thanks, Jack H 😀 Oh, btw, my family is going to Cleethorpes tomorrow 🙂 Where are you going for your holidays? Thank you Jack. Any time you hear a Christian, pastor, teacher or other believer talk about the enemy with a capital “E” is it none other than Satan or the Devil. I do hope you have a great holiday my friend and may God richly bless you and keep you in your travels. I am going to have to work and pastor at our church next weekend for the holiday and so I do hope you enjoy your time to relax brother. I always hit atheists/agnostics with their own absurd logic–I had one that said “I don’t believe in God because I’ve never seen any evidence of a creator” to which I asked him what kind of car did he drive and he said it was a Ford to which I say “Well then I don’t believe in Ford!” to which he thought was silly and because his car was in the drive way and it was made by someone to which I counter “Well I’ve never seen the Ford plant or any other auto companies’ plants so I don’t how they were built so I don’t believe in Ford. I think that Fords, GMs, Toyotas etc just spontaneously appear on their respective car lots and they sell them!” I was called a jerk for pointing out that their own argument was as absurd as what I just said. Thank you Mr. Hope. For one thing, it is impossible to disprove that God exists. A person would have to have all knowledge of all places and things in the universe but if they had that capability, they then would be a god themselves. A creation demands a Creator. Look at the Pyramids. Their builders are a mystery…how they were built and engineered with such intricacy is a mystery and the original designers and builders are no where to be found but they must have existed for the Pyramids do exist. The evidence of the builders of the Pyramids can not be found but there they are…the Pyramids…and they demand a creator too. What a person believes or doesn’t believe in does not change the fact that something is true or not. I appreciate your words of encouragement sir. It`s a bit like the scribes and Pharisees when they asked Jesus to show them a sign. They saw signs, healings, miracles, dead raised, 000`s fed, you name it, they saw it. And yet they still didn`t believe. They had eyes to see but chose not to. One thief on the cross didn`t ask for a sign, whilst the other did, and the thief who didn`t ask for one was rewarded. I believe cos of faith how do you explain faith someone asked me. I couldn`t, it just is. I try to stay away from arguing for the sake of arguing. I tell them my testimony, That I was a miserable sinner and needed Jesus, and His forgiveness. That I still sin, but His death on the cross is the total payment for ALL sins, as long as I confess it. You have been very busy with all these truly enlightening articles you are writing! I NEVER skip them. All the authors on this site are incredible! Jack, may I ask you to clear up a question I have had on my mind for a while, which occurred to me again after reading your article… I’m not sure if I understand correctly, but what is the reason God wants to save Israel and the Jewish nation if they don’t believe in Jesus? None of us know what God’s plans are, but is there any reference in the bible? Sorry if my question is a bit naive. Blessings and health to you and your family. Great answer David. God keeps His promises and to Abraham, He did promise. Thanks David. Someday they WILL believe in Jesus but imagine us too. God loved us and chose us before we believe in Jesus (Eph 1, 2) and while we were still enemies of the cross, He died for us. He died for us BEFORE we even believed in Jesus, right? See why? Thanks Jack. I believe God never renegades on His promises. Jesus Himself said that He FIRST came for the lost sheep of Israel, and it is only us [the Gentiles] that are fortunate enough to be allowed to lick up the crumbs that fall from the children`s table And I really thank God that I had that opportunity. Amen brother. Thank you for being a blessing to us and to the others saints you minister too here and likely in your own world…of work, family, friends, and church. Thank you for your replies. They do make sense in terms of the love of God and His promises, but how is this reconciled with the fact that Jesus said that the only way to the Father is through Him? If someone practicing Judaism has not accepted and does not believe in Jesus Christ as their Saviour, on their death bed, do they still go to heaven? Sorry, I know I sound very literal and legalistic, but I just need to understand. I do understand that Jesus died for us even before we believed in Him, but if we didn’t accept and believe in Him, then we are destined to die and not be with Him eternally. So I guess I’m asking whether people practicing Judaism go to Heaven whether they accept Jesus or not? And does this include people who convert to Judaism through marriage etc? Please tell me if I am being too analytical and should just accept ambiguities, as we will not fully understand God’s decisions until we are with Him. Is it wrong to raise such questions? Is it a sin? It’s not that I don’t trust Our Lord or question His decisions – I just want to understand more fully what I am able to. Thank you Nikita. I know this is hard to understand and yes, only Jesus saves but God has plans for Israel. The Creator of all things chose the nation of Israel to be a unique people that would witness to His reality. For you are a holy people to the Lord your God; the Lord your God has chosen you to be a people for His own possession out of all the people who are on the face of the earth (Deuteronomy 7:6). We were chosen to be witnesses of God’s reality to a world that had fallen away from God. You are My witnesses, declares the Lord, and My servant whom I have chosen, in order that you may know and believe Me, and understand that I am He. Before Me there was no God formed, and there will be none after Me. I, even I am the Lord; and there is no Savior beside Me (Isaiah 43:10-11). The Jewish people were chosen to demonstrate to the world that there was one true and living God. What David said is true. The Lord appeared to Abram and said, “To your descendants I will give this land” (Genesis 12:7). The living God further said to Abraham: I will establish My covenant between Me and you and your descendants after you throughout their generations for an everlasting covenant, to be God to you and to your descendants after you. And I will give to you and to your descendants after you, the land of your sojournings, all the land of Canaan, for an everlasting possession; and I will be their God (Genesis 17:7-8). In His prophetic Word, God promised to regather us to “our own land.” For I will take you from the nations, gather you from all the lands, and bring you into your own land… And you will live in the land that I gave to your forefathers (Ezekiel 36:24, 28). Again Ezekiel predicts: Thus says the Lord God, “Behold, I will take the sons of Israel from among the nations where they have gone, and I will gather them from every side and bring them into their own land Jeremiah adds: Behold days are coming declares the Lord, when it will no longer be said, “As the Lord lives, who brought up the sons of Israel out of the land of Egypt,” but, “As the Lord lives, who brought up the sons of Israel from the land of the north and from all the countries where He had banished them.” For I will restore them to their own land which I gave to their fathers (Jeremiah 16:14-15). Ultimately this regathering to our own Land will be greater than the Exodus out of Egypt! And when Christ comes back, somewhere in that time…and I don’t know exactly all the chronological intervals…but somewhere when Jesus returns, there is going to be not only a great physical deliverance for Israel as we know when He comes riding on a white horse with all the armies of heaven following Him, He slaughters all the armies of the world, He judges all the ungodly and He delivers Israel and gives Israel the Kingdom, there will be a great physical deliverance. But in addition to that, there will be a salvation as well. There will be a spiritual deliverance. Zechariah chapter 10…pardon me…chapter 12 verse 10 says that. It is at that time when Christ returns, He says, “I will pour out upon the house of David and upon the inhabitants of Jerusalem the Spirit of grace and of supplication. And they shall look on Me whom they have pierced [that is JESUS!] and mourn for Him as one mourns for his only son and be in bitterness for Him as one is in bitterness for His firstborn. And there shall be great mourning. See that!? They will finally, someday, likely after the Tribulation, believe in the Real Messiah and Jesus will be their Savior…someday, down the road, not today though. Make sense? Thank you so much for your time, patience and effort in assisting me to understand. I must admit that it took me a long while, and reading your response over and over again, and mulling it over and over in my head, as well as talking to God about it, but suddenly everything clicked into place! Hence my delay in response, apologies if I appeared rude in taking so long in conveying my thanks and gratitude. I try to read all the articles and responses that appear on this site since i discovered it, and I have no doubt that God is working miracles through you and the other writers, Jack (actually, I feel disrespectful calling you Jack… Do you mind at all?). My point is…. I see that you yourself answer soooo many questions from soooo many different people on the multitudes of articles you write, that I have no idea where you find time for yourself, other duties, or your family. But I am sure you have it all under control, with our Lord’s help. Through you and the other writers here, God is expanding His Kingdom on earth. He has captured so many people and educated so many people through you all. And this brings me to my point: this is evidence enough for the existence of God! Who could manage all of that, so patiently and cheerfully without God’s help? Sorry, I hope I am not coming across as condescending to you, and hope you understand what I mean: God is so clearly with you, no further evidence required! Thank you all and thank you God! Thank you Nikita. I appreciate your kind words. I have never looked at it the way that you described. That is a very interesting point that who would go thru so much if he or she didn’t believe that there was a God. Good stuff brother. You are not condescending to me at all. I loved it. I also want you to know you can call me Jack. Just because I am a pastor I put my pants on the same way any other man would and am not superior or better than anyone. I am so glad I could help you. Sometimes the Bible is a difficult thing to teach when complicated subjects are discussed. I thank God for you brother and that you have a hunger to know more about God…and that is also an argument for God’s existence, you think? Enjoyed your article with Scriptures tremendously! And also reading over my siblings’ in Christ comments! Particularly appreciated Nikita’s comments, questions and your replies to him. Oodles of God’s wonderful blessings for you, Pastor Jack, and your family! Amen Patty. I do need a vacation but sadly, I have none from my job as I don’t get benefits from the foster care agency. I have not been there a year yet, and even then, only 1 week is allows. Thanks for your encouragement Patty. We need more female “Barnabas'” like you!